False – Google deny this, there are some who won’t believe it , I look at it from a business perspective & suspect it’s true else – if they are found to be doing this at any point in future they will end up with an exodus of analytics users & a massive PR disaster for breach of privacy. Google says this is false. That may be so, but no one at Google gives a plausible explanation for a site ending up on the audit list other than having too many links, now do they? It’s not like someone rats you out to Google for having “too many links”. False – Google says that websites will be found if quality established sites link to it. 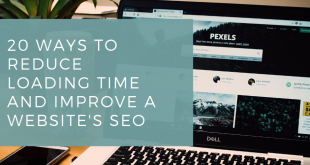 This is kind of obvious to the SEO Pros – most of us have done our own tests of launching a virgin site then link building without Google submission – done correctly & your site can show up within minutes. Google themselves say that its un-necessary to use ‘add URL’. False – Google clarified this is not in their algorithm at all – this has been long dead through abuse – there is no real reason to use it – I tend to use 1 or 2 keywords just in case someone finds you through a non main stream search engine. False – Google hasn’t commented on this as a ranking factor but has specified that can be left blank as the they will choose a ‘relevant snippet’ Google have also clearly stated that it’s used more now than 8 years ago hence a lot of confusion in the SEO community reference to description. In my tests changing the description doesn’t seem to alter ranking so I suspect it’s a secondary factor – but it can alter CTR dramatically, hence I recommend taking this tag a bit more seriously. Defining the meta description may not always guarantee that Google use it – although mostly they do. False – whilst Google advises to avoid dupes & they say that the algorithm will figure out any dupes & merge info, hence only one page of 2 is shown – which is why many assume it’s a penalty. Google obviously recommends that only single pages exist in a site, however where this is not possible or inbound links already exist for both urls – then the best course of action is using a 301 redirect or link rel=canonical in your page header. Incidentally duplicate sites will be treated the same way. False – Google have clearly specified that they use IP geo-location & the sites IP is a ranking factor – hence if your site is targeting UK – make sure it’s hosted in the UK. False – Google are quite specific about this – domains with the keyword you wish to rank for do make a difference & so does the suffix TLD.ie you want to rank a domain in the UK then .co.uk /.com are good in that order. Where you haven’t chosen the best domain it’s advisable to use Google Webmaster Tools to set your Geo target. False – Google has confirmed that they are getting more efficient at crawling Flash. Google have also commented that full flash sites may make linking to the content difficult hence recommend avoid writing flash heavy, especially sites with single swf sites . With mobile phone browsing on the increase and many browsers not being flash enabled by default Google recommend to turn off flash and test to see if the user can still see the content. Here is an example of a flash site I have optimised for martial arts Cheltenham & kung fu Cheltenham. False – say Google – you can sell links but must use a rel=nofollow attribute so the link doesn’t flow pagerank – else you break the rules of natural link building and the G-Police will endorse you with a penalty. Hmm translated that spells: you can sell worthless links – kind of a contradiction. Google has also dumped a major player for selling text link ads from the index which is an irony as what are Adwords? False – Google say they have no issue with any major ad networks. I guess we have to remember that Google sell ads and doing anything other than this could be considered as running a monopoly. 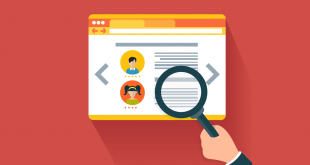 False – Whilst Google confirmed that keywords on page are a factor they confirmed that it’s not a primary factor and whilst keyword presence & positioning is good – percentage is neither here or there so they say but hinted on positioning & headings. False – Google admitted that launching sites with millions of pages is not a good idea and hinted that whilst thousands not an issue – large sites need to launch softly to avoid scrutiny. False – Google admit these are ranking factors used in the algorithm however state these are not primary factors. I am launching a website soon, and your information will be very useful for me.. Thanks for all your help and wishing you all the success in your business. 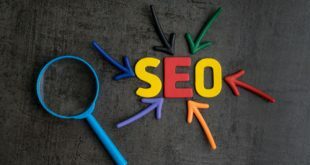 So many search engine optimization techniques to learn! But worth the website traffic at the end! There are a lot of SEO Myths! Thanks for clarifying! Does this still apply in 2014?